March 16, 2018 (ATLANTA) – Georgia Aquarium is the Top Aquarium in the U.S., as voted by TripAdvisor users. TripAdvisor uses an algorithm to analyze every traveler review on their site and identify which destinations across America are known for their aquariums. Georgia Aquarium has been identified as one of 15 great aquariums that are perfect for kid-friendly outings, rainy afternoons, and exploring new cities across the country. 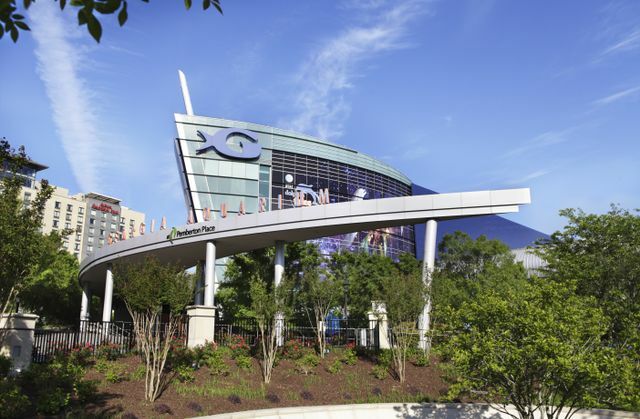 Georgia Aquarium has welcomed millions of guests since 2005 with a portion of every ticket sale going towards research and conservation efforts. The Aquarium is committed to inspiring awareness and preservation of our ocean and aquatic animals worldwide. Georgia Aquarium strives to give every guest an unforgettable, awe-inspiring visit in order to educate the future generations. With seven galleries, and over 100 exhibits, Georgia Aquarium has something for everyone. Georgia Aquarium is proud to be recognized as a Top Aquarium in the U.S. by Trip Advisor and look forward to continuing to welcome millions of guests in the coming years.